Can The *Secret Law of Attraction* Work For Your Life? How has the Law of Attraction Affected Your Life? We all have the ability to sense energy. Quantum physics has proved that everything in the Universe and beyond is comprised of energy, constantly flowing, changing and affecting all areas of our lives. Space clearings can enhance and freshen the space, similar to a spring cleaning. Energy flows freely without getting stuck. It involves a beautiful and profound ceremony that is designed to cleanse, purify and consecrate the energy of a physical space. When the spaces around us are nurturing and supportive our quality of life improves. As a Space Clearer, I can do this for you. There are endless ways space clearing can be used. It is one of the most powerful techniques for clearing and synchronizing energy in our lives. Space clearing can transform a dismal environment into a sacred space, harmonize the energies and help turn your home/space into a sanctuary. Moving into a new home or office space to clear out any predecessor’s energy: Your home/space will carry energetic remains from all previous people that were there. Depending on the age of the home, this could be over decades or centuries. Selling a home so it welcomes a new buyer (also renting): This helps the owners release their energy in the home, so a new buyer feels welcome and accepted in this home. 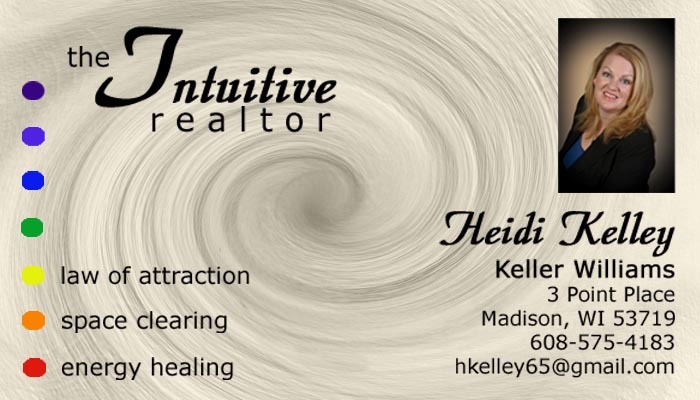 I also have meditations to help a home seller release their energy. Manifest Your Desire: Helps you co-create what your dreams and desires are by sending off the same vibration. It can help you improve relationships, finances, and opportunities. After a death on the premises Space clearing is an excellent way of cleansing the home to rid it from this emotional residue. After an illness: Wash all bedding and clean the room thoroughly; then, do the space clearing. It is also a good idea to air out the room by opening all the windows with the intention to release the unhealthy energy and refresh the space. Foreclosure or short sale: Your home/space will carry energetic remains from all previous people that were there. 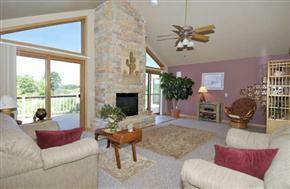 These homes hold unfavorable financial energy within their walls. This energy needs to be released. How has the Law of Attraction Affected Your Lives? Like many others who saw “The Secret” movie and/or read the book, I was intrigued but also skeptical. Does The Law of Attraction really work? I didn’t understand how our thoughts create things in our lives, how what we are thinking and feeling sends off a vibration to the universe and ultimately creates our life. It was a hard concept for me to grasp, but I continued to learn more about it. I started to pay closer attention to what my thoughts were, how I projected myself, how I lived my life. I began to notice small changes around me. Then one fall day it all hit me and I realized the Law of Attraction really does work. My son and I had an elderly pug that we knew had to be put down soon. We also knew our family wouldn’t be the same without another dog to bring us joy, but what kind? As much as we loved our pug, we couldn’t imagine having another, too many memories. We both were very interested in the ads we were seeing about French Bulldogs. We loved their unusual appearance. Unfortunately, when I did research on them, I found their cost was prohibitive. This was when we first met Beefy. You can't see it in this photo, but his back is shaved from the surgery. I knew our beloved pugs time was running out. I mentioned this to a friend who worked at a nearby animal hospital. To my surprise she told me they had a French Bulldog at the hospital that needed a new home. They had rescued him, brought him to good health, but he just had back surgery and they needed to find a good, quiet home for him to live. We met Beefy Boy the next day. We immediately fell in love with him. We were heartbroken to see our pug pass on, but I knew God had a much bigger plan. Beefy became a part of our lives. He took care of us during the times we were grieving and gave us unconditional love. In turn, we’ve taken care of him, giving him the home he always wanted. 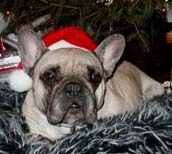 This was our first Christmas with Beefy. He settled right into family life. My life started to really change after this. I really took notice as to how powerful the Law of Attraction is. Since then, I have manifested many things in my life. How has the Law of Attraction affected your lives? Please share your experiences below? "It is such a pleasure to have the opportunity to express my respect and regard for Heidi Kelley. Heidi has represented me for two separate real estate deals this year. Her competence in the transactions and her complete commitment to making sure I was getting what I needed were exceptional."